Autodesk Maya | >> ParaMaterial. 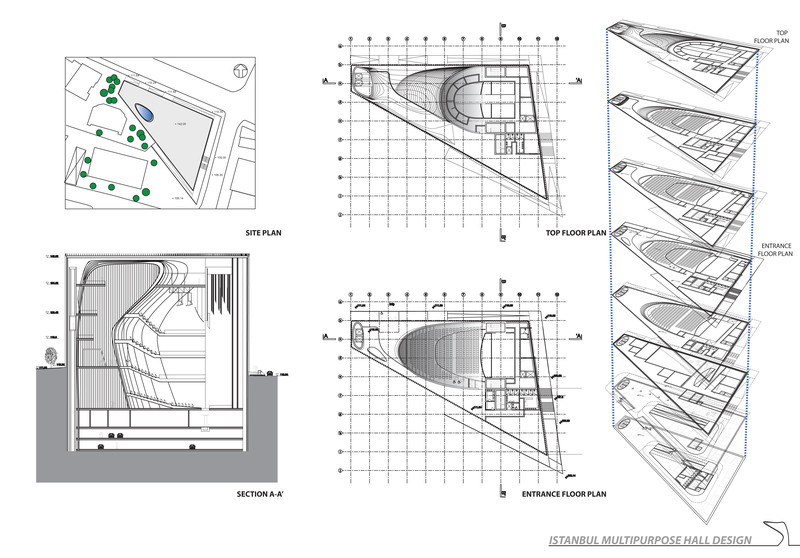 This unfold elevation is developed for a competition project in Turkey. 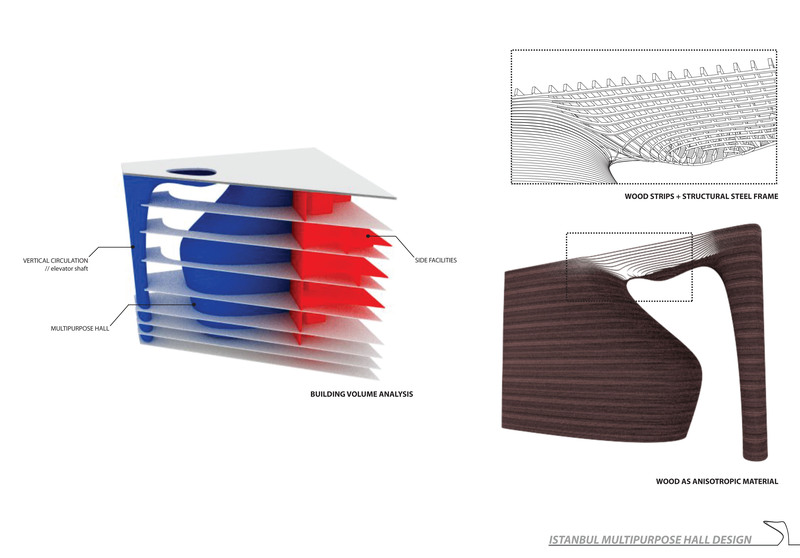 The intent is to generate a dynamic façade system which responds to the sunlight activity throughout the year. The calculations are undertaken at the simulation software Ecotect. 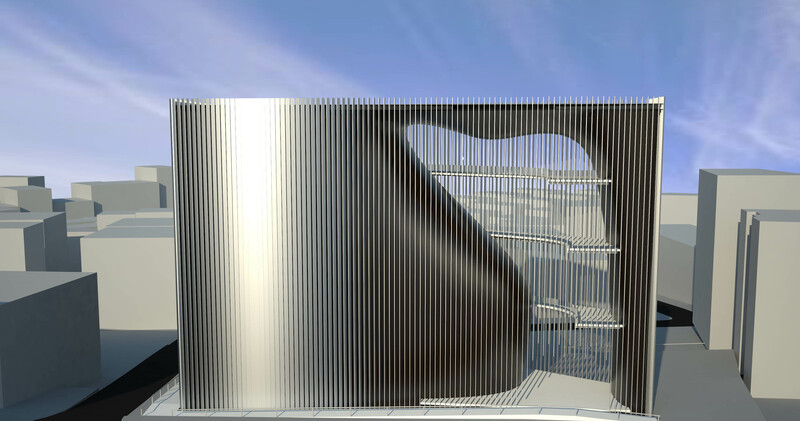 The façade which gets most of the sunlight is densely patterned compared to the other elevations. 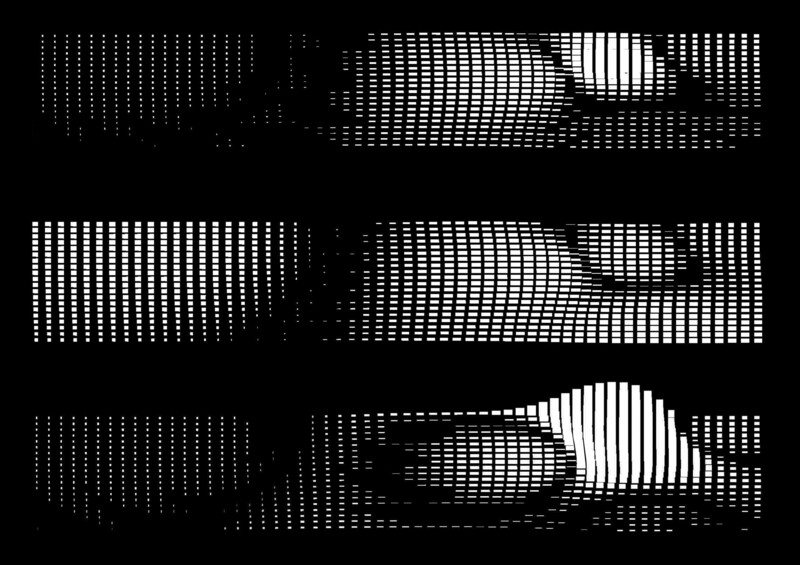 The time-based simulation of dynamic properties appear as emergent pattern on the façade.